Keltec provides a wide range of design, development and manufacturing services – from concept development to volume manufacture. Since their foundation in 1988, Keltec has diversified from agricultural based products into products for the construction, water treatment and horticultural industries. Their ability to develop new products that benefit clients in terms of increased productivity and significant cost savings, have established them as a unique engineering company in Ireland. They have gained a reputation of exceptional reliability and quality which they aim to retain and improve. Keltec personnel have built up a high level of expertise in custom design and are currently involved in various research and development projects for construction, food and horticultural industries. 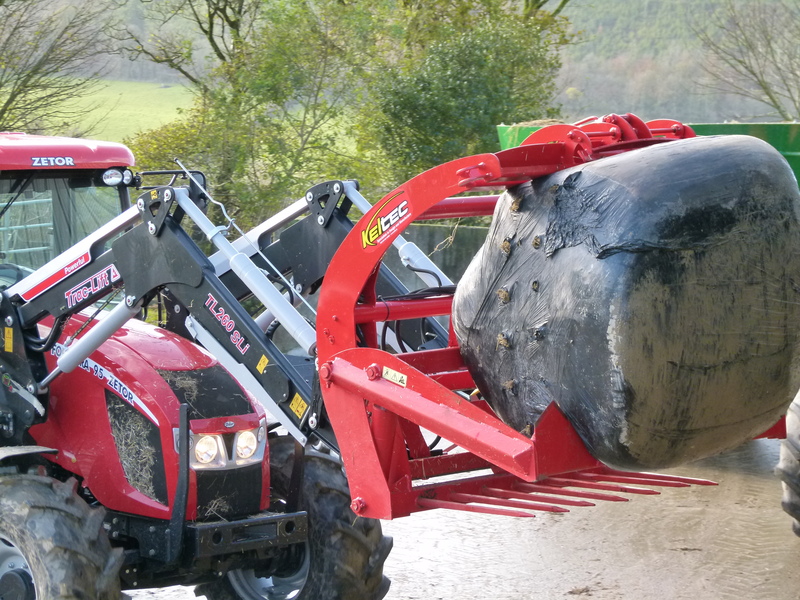 The Keltec Bale Slice is designed to remove the hassle from the way wrapped bales are fed. Their patented system, which speeds up the operation of feeding, is designed to ensure you have the least amount of work to do with maximum productivity, reducing costs and saving valuable time. The plastic wrap and netting is removed from the bale while the bale is cut, all from the seat of your tractor or digger. The patented system of grab, cut and removal is all controlled by one double acting hydraulic service which makes it perfect for loading diet feeders, circular feeders or for use in feeding passages. Add to this the advantage of being able to use the incorporated fork which makes light work of the day to day jobs around the yard and also for easy and safe pushing of silage to desired positions, all from the comfort of your cab.